Primus Cable's CAT 5E Stranded Cable is ideal for your indoor voice, data, video and security networking applications. Whether you are wiring your home, office or entire campus, we have the network solution that is right for you. 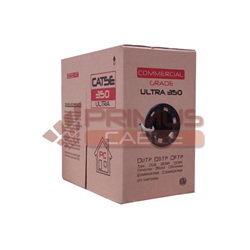 This CM rated CAT 5E Stranded Cable is the perfect fit for reliable installations where the cable will be used indoors. This cable's 8 conductors (4-Pairs) are stranded copper with a high density polyethylene (HDPE) insulation and a PVC RoHS Compliant jacket. One common application for stranded cable is fabricating custom patch cables due to the flexibility that the stranded configuration offers. Our ETL Verified CM rated Category 5E Stranded Cable is designed for indoor LAN applications, making it the best solution for indoor installation runs that require the cable to be installed in walls or any other non-plenum areas. To make sure we are supplying our customer with high quality bulk Ethernet cables our cable have to meet and/or exceeds CAT5E TIA 568 C.2 standards. 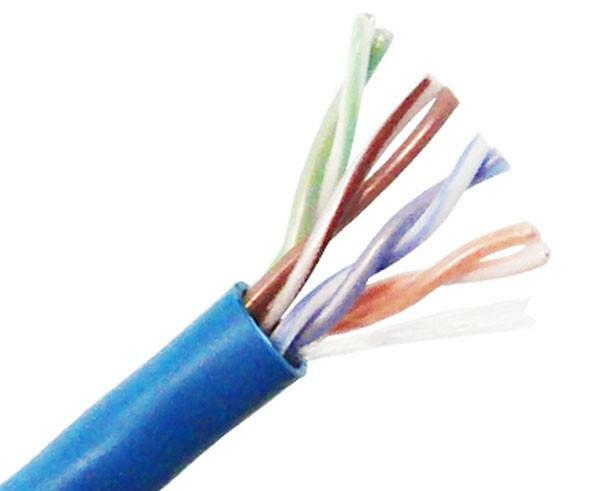 Our CAT 5E stranded cable is also manufactured to meet current CAT 5E guidelines and is verified by outside standards organizations including ETL Verified as well as being RoHS Compliant.